I joined the Royal Canadian Air Force at the age of 19 in the fall of 1942 in Calgary and was given Service number R******. I went to #3 Manning Depot in Edmonton in early 1943. This was at the very height of the Plan and after about six weeks of indoctrination and learning to march, we were sent to Vancouver for three months to what we called WETP (actually it was Wartime Emergency Training Plan). It was spring in Vancouver and a pleasant change from the prairie winter. We boarded in private homes and attended classes five days a week at Seaview School in the Kitsilano area. 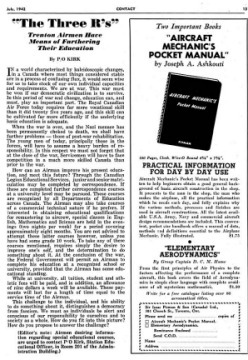 We took mostly refresher High School subjects with a few Air Force courses thrown in. It was actually just a way to keep us occupied because the flying schools were plugged. Previous to this, aircrew trainees had done guard or tarmac duty while they waited to start training. In June our course came back to Edmonton to #4 Initial Training School. We lived in the University of Alberta dormitories with only two persons to a room and took our classes in what was then known as the Normal School. It is still there but is now called Corbett Hall. We went on parade every morning at 8 AM and after inspection marched to school about half a mile away. On Friday mornings we had a Commanding Officer’s parade. Following inspection, we marched out of our parade grounds down to 109 St. then onto 82nd Ave. to the Normal School where the CO took the salute. We went to class each morning until 12:00 then marched back to the U of A for lunch and then back to class until 5:00 when we marched back again to the U of A. We had classes on Saturday mornings however, one weekend I received a 36 hour pass on which I went home for overnight. Our courses were quite heavy and for me it required a lot of homework to keep up. Some I remember were theory of flight, navigation, Morse code - both key and Aldis lamp, armament and a number of other subjects. In addition each Flight drilled several hours each week. To ensure you had some choice into which aircrew category you would be selected, you needed to have good marks and stand as high as possible in the course. I wanted to be a pilot and was selected for flying training. Our exams ended about 10 days before our posting to flying school but I needed to have my tonsils removed before I could be given medical clearance to start flight training. While it seems a bit crude by today's standards, an Air Force doctor removed them while I sat on a chair in the MIR (Medical Inspection Room) of the little hospital in the basement of Athabasca Hall. I was offered two weeks sick leave but turned it down because I wanted to stay with my friends. While still living on ice cream that I bought in the canteen I went to #5 Elementary Flying Training School at High River Alberta in August to learn to fly on the Cornell aircraft. 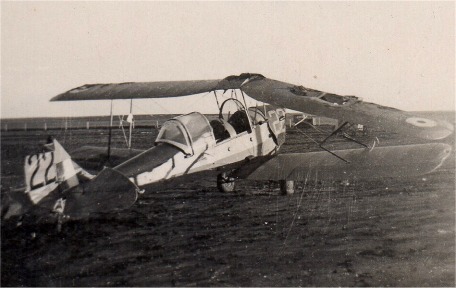 When we graduated from ITS and went on flying training we were promoted from Aircraftsman Class Two (AC2) to Leading Aircraftsman (LAC) which meant an increase in pay of 20 or 30 cents a day, flying pay of 75 cents a day and we proudly wore a white "flash" in our caps denoting aircrew under training. 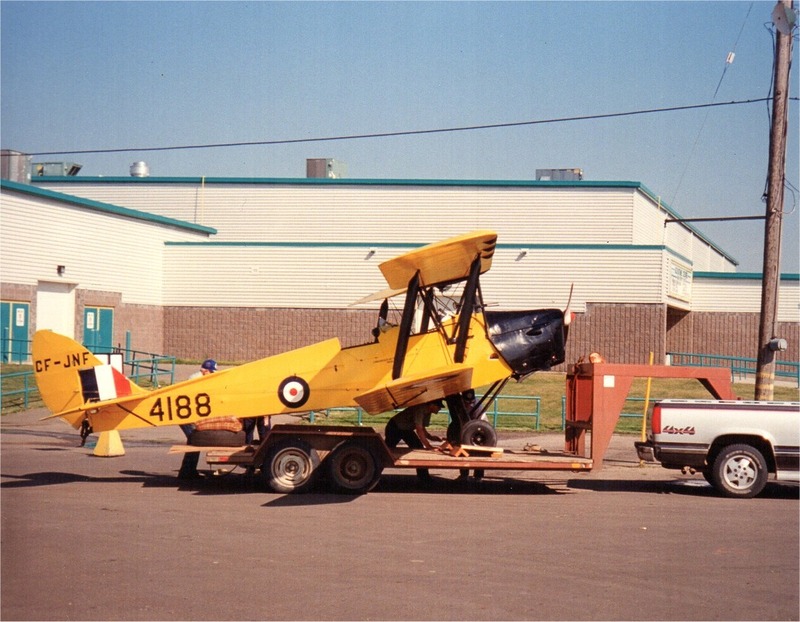 # 5 EFTS was a sort of a hybrid school with RCAF flying instructors but the rest of the station was civilian staffed and run by the Calgary Flying Club. Unlike Air force messes we were waited on at the table but the food served was the worst I ever experienced in the Service and that includes the time spent in the UK with the RAF. Much of the beer served in the Wet Canteen was milky with sediment and I'm sure it was from the bottom of the vats at the Calgary Brewery and unfit for sale through regular outlets. We were young and only interested in learning to fly but I have wondered many times since then about what went on. The first morning we were in class, Mr. D. K. Yorath, the civilian manager, came to the classroom to request that the students turn in their liquor permits (liquor was rationed) so they could be used by the officers mess. This wasn't greeted very warmly and not many complied with the request. Our days consisted of half day flying and half day in ground school with Sunday the only day off. In summer when the days were long and we were flying in the morning, we were called at 5:30 and after breakfast went straight to the hangars where we flew or sat around until 11:00. We had lunch and went to ground school until 6:00 and after supper were often on Duty Watch to lower the flag, do homework, go to the wet canteen or simply lay around the billet talking flying until lights out shortly after 10:00. The following morning we were awakened at 6:30 and after breakfast had an hour of Physical Training and were in class from 9:00 to 12:00. After lunch we reported to the hangar where we stayed, often flying until near dark or helping to push the planes into the hangar. The students weren't the only ones who worked hard. 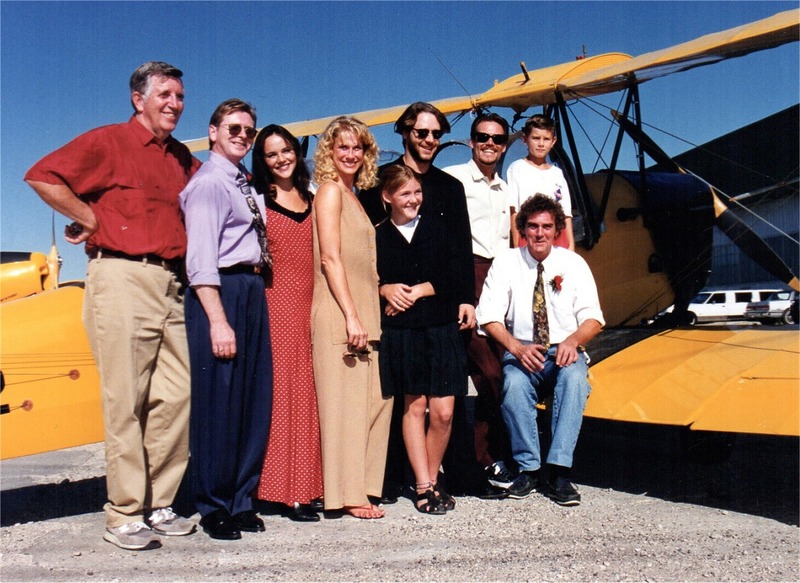 My instructor, a P/0 Roe, had six students and until we went solo, which took me about nine hours, he flew at least five instructional trips each day. I graduated with a little over 70 hours including three hours night and 10 hours of instrument flying. In addition I was given 11 hours of instrument instruction in the Link Trainer. In October, most of the course was posted to #19 Service Flying Training School at Vulcan Alberta but some others and I, luckily, were posted to #3 SFTS at Currie Barracks in Calgary. I think luck received a bit of an assist because the station senior NCO who had been a friend of my dad asked me about going to Currie. We arrived there on a Saturday afternoon and the first thing my friend Neil Paton and I did was go over to the tarmac and have a look at a "mighty" Cessna Crane and wondered how we would ever learn to fly such a big machine. 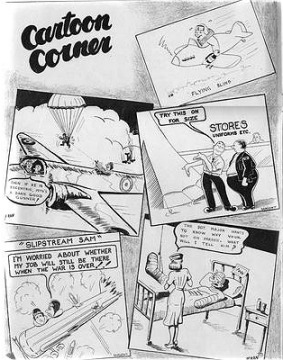 After that we strolled into the Airman's Canteen where we met a tall, slim, pretty Womens’ Division Corporal working behind the counter in the Dry Canteen. We later found out that her name was Verna Rice and she came from Estevan, Saskatchewan. The reason I bring this up is because, while it is a long story with a lot of improbable happenings, when I returned from overseas a year or so later we were married and in last August celebrated our 55th Wedding Anniversary. To get back to the BCATP, our course, #92, consisted of "C' Flight of RCAF and "D" Flight of Royal Air Force. It was a little different than EFTS and we worked for 12 days and then got a 48 hour weekend pass. The two Flights alternated so if the weather was fit, the airplanes were always flying. Our Flight went to Ground School in the afternoons one week and in the mornings the next week. The rest of the day was spent at the hangar where we usually flew a couple of trips or often went to the Link for instrument training. The weekends that we were on duty we spent the entire day at the flight room. It was a wonderful exciting time. We were young and usually trying to see how far we could bend or stretch Air Force rules on the ground and in the air. It was wartime and there were lots of girls and things to do in the city. I loved flying and I could go home on our 48's or a couple of us would get a hotel room and live it up or so we thought. You had to keep up your ground school marks and we had check rides at regular intervals to ensure you met Air Force flying standards. 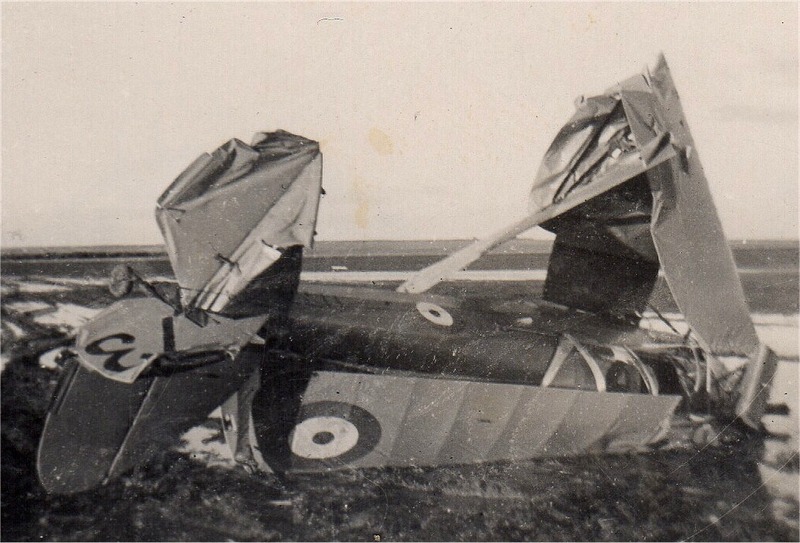 Sadly we had good friends who washed out and were sent to train in some other aircrew or ground trade. We graduated and were presented with our Wings in March of 1944, most of us as Sergeant Pilots. I had a total flying time of 230 hours and 10 minutes of which about 20 hours were at night and 41 hours of instrument flying. I also had a total of 35 hours in the Link Trainer. After only a one week leave those of us who were posted overseas reported to #3 AGTS (Advanced Ground Training School) at Trois Rivieres Quebec where for a few weeks we played soldier while Army Commando officers proceeded to get us in shape. I managed to sprain an ankle quite badly but again limped around so I could stay with my friends. From AGTS we went to #1 Y Depot in Lachine Quebec and after indoctrination and inoculations we soon boarded a train of old colonist railway cars to Halifax where the Empress of Scotland waited. We filed on to the ship with our back packs and kit bags and the next morning at dawn, with about 5600 ship's crew and service men and women on board, moved quietly down the harbour and out into the grey Atlantic heading for Britain. That ended my training under the BCATP. I said previously that I had gone through at the peak of the Plan and shortly after we got our Wings, the Plan started to slow with some stations closing, moving or changing roles. I knew some trainees who graduated on courses only slightly after me but did not get overseas. To put things into perspective it must be remembered that airplanes were a rare sight and still pretty primitive at the start of the war and most of us never dreamed we could someday learn to fly. Verna and I are both in our late 70's but still talk about those years and the friends and experiences we had. Unless you were there at the time you cannot know what those years were like. Wartime was great for survivors and a brother who is now dead, was in the Army all through the Italian campaign, was wounded and yet always said it was the best time of his life. I guess this is why young men now do extreme sports because there is no war to fight. 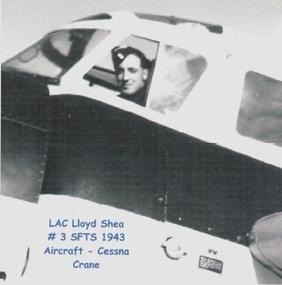 Lloyd Shea's story was received at the Commonwealth Air Training Museum in 2000 as his contribution to the museum's Oral History project. 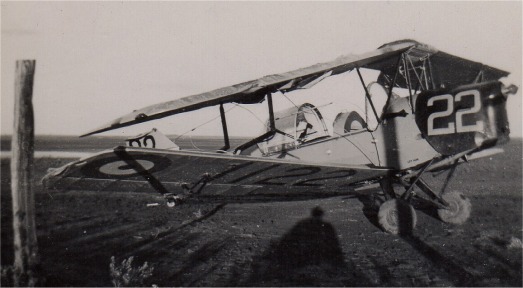 The Tiger Moth was the primary elementary training aircraft for the British Commonwealth Air Training Plan early in World War II. It was designed by Geoffrey de Havilland and first flew on October 26 1931.It was built by the de Havilland Aircraft Company in Great Britain and Canada. A number of variants were used by 25 air forces worldwide during its lifetime. De Havilland Canada was located in Downsview Ontario. 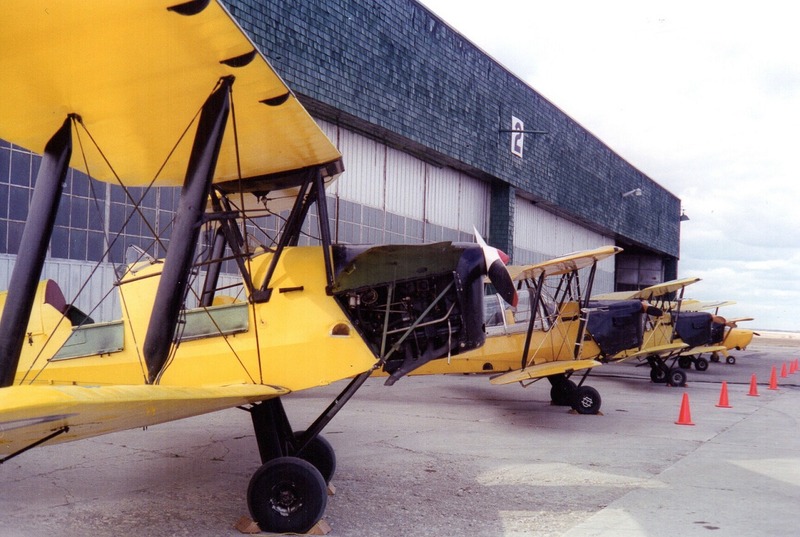 This facility opened with the production of 25 Tiger Moths for the Royal Canadian Air Force. Production shifted to building fuselages for export to Great Britain. 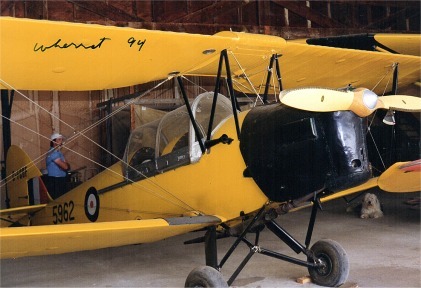 The Canadian version, the DH 82C of the Tiger Moth included modification for the country's climate conditions with the inclusion of a sliding Perspex canopy and exhaust based heater. 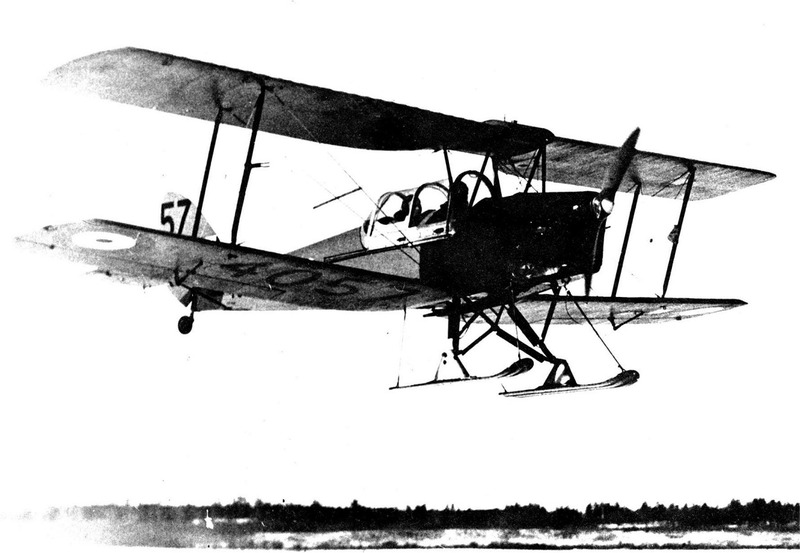 Other modifications included a reinforced tail wheel, hand operated brakes and modifications to the undercarriage to prevent the aircraft from tipping forward while braking. The DH 82C was powered by a 145 horsepower de Havilland Gipsy Major piston engine. De Havilland Canada produced a total of 1,548 aircraft in a variety of versions of the Tiger Moth DH 82C. 1,523 DH 82Cs were built for the RCAF including a number of Menasco Moth and 200 Lend-Lease PT-24 varients. 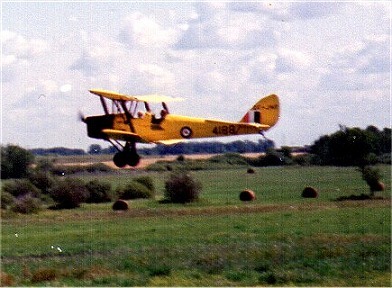 The Tiger Moth was also used by the Royal Canadian Navy. 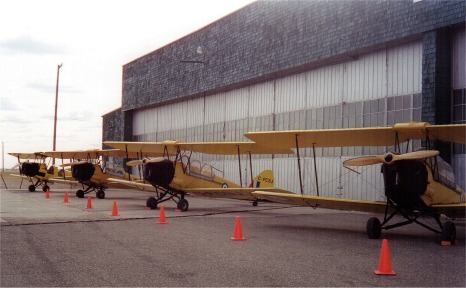 In addition to being the primary elementary training aircraft in the BCATP until replaced by the Fairchild Cornell, the Tiger Moth was also utilized for elementary radio operator instruction. 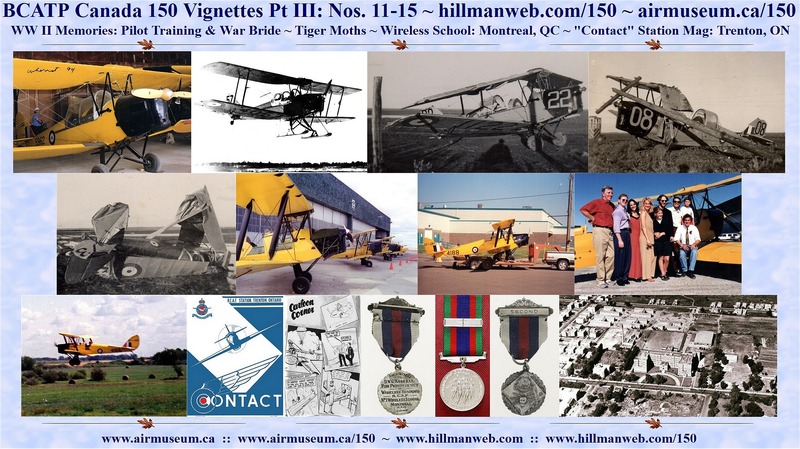 Today's CATP Museum Tiger Moth and a WWII Moth fitted for winter training. No. 25 EFTS 1942 Tiger Moths that had experienced training mishaps. No. 1 Wireless School, Montreal Quebec opened on February 16 1940 for 1672 days, closing on September 14 1944. 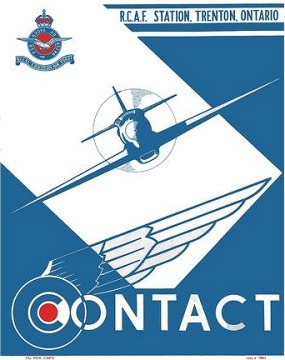 In the initial negotiations for the creation of the British Commonwealth Air Training Plan, only one wireless training school was called for with an objective of training 870 wireless operator/air gunners every four weeks or near 29,000 per year. This eventually changed and four schools were created – No. 1 in Montreal, No. 2 in Calgary, No. 3 in Winnipeg and No. 4 in Guelph. On September 14 1944, No.1 Wireless School moved to Mount Hope Ontario which was open until October 31 1945 after operating for 412 days. 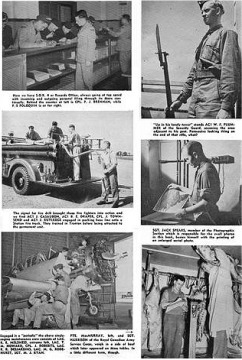 When the schools opened, in order to qualify as a wireless operator/air gunner, the airman was required to complete 24 weeks of training at a wireless school followed by four weeks of bombing and gunnery training. On transfer to operational training, pilots and wireless air gunners received an additional 12 weeks of training. Here, a pilot, an observer and two wireless operator/air gunners were put together as a crew to complete the operational training. If the crew demonstrated they were capable of making a trans-Atlantic crossing, they were given another eight weeks of training and were then transferred to Ferry Command. 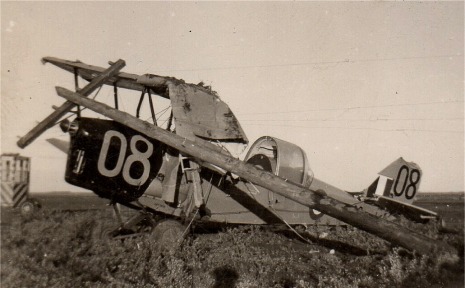 The schools utilized Fairey Battle and Bolingbroke aircraft for gunnery practice, Westland Lysanders for target towing and Avro Ansons for bombing practice. As the war progressed, training changed to meet the needs of aircrew flying bombing missions. The overworked Air Observer found relief with the addition of the Air Bomber to the crew. The Observer was responsible for navigation and the Air Bomber concentrated on finding and hitting bomb objectives. In June 1942, Air Observer training was phased out in favour of the training of specialized Navigators, In November, Navigators began to be classified as Navigator Bombers with a "B" on their wings badge and Navigator/Wireless with a "W" on their wings. Navigator Ws were required to complete 28 weeks at wireless school and 22 weeks at an air observer school. Upon completion of training, these navigators were assigned to fast two-engine, two aircrew aircraft like the de Havilland Mosquito. Navigator Bs spent eight weeks at Bombing and Gunnery school and 12 weeks training as a Navigator at an Air Observer School and were generally assigned to heavy bombers such as the Avro Lancaster. 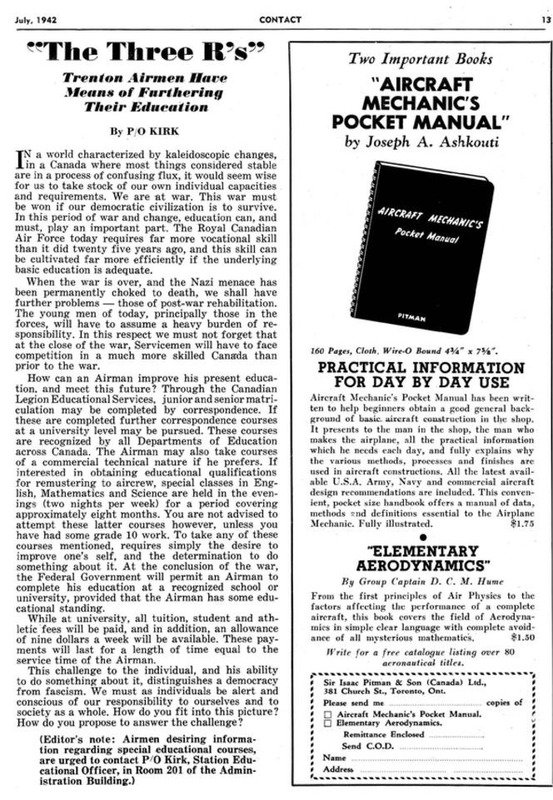 Our research turned up the attached Toronto Globe and Mail newspaper article, dated January 28 1940, in the Canadian War Museum Archives. It discusses the creation of No. 1 Wireless School in Montreal. The school was to be located on land and in buildings owned by the Grey Nuns and Nazareth School for the Blind on Queen Mary Road. 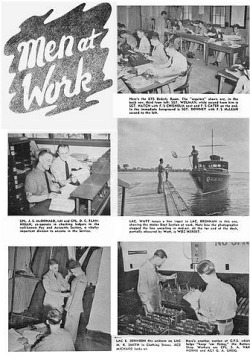 The purpose of the school was to train wireless radio operators, signal operators and radio mechanics. The existing buildings which housed 900 students were modified to suit the needs of No. 1 Wireless School and additional living quarters were constructed. 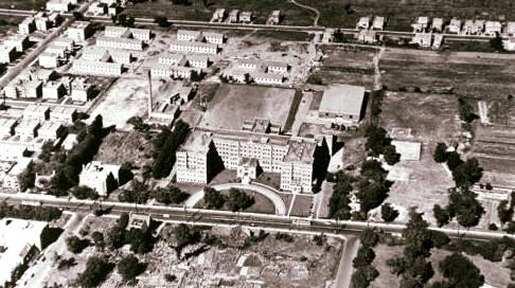 An air photograph of the school (above) appears to show two-story H-Hut buildings behind the school. Other renovations included changes to teaching spaces and mess and recreation areas within the building. Our research also turned up interesting information not part of the official RCAF story of No. 1 Wireless School. The Canadian War Museum yielded a photograph of a medal for proficiency awarded to the best of the best students. We have yet to see any other BCATP school offer such a tangible, yet unofficial award to students. A November 4 1943 Winnipeg Tribune newspaper article sheds some light on the award. It offers the following information: "Muriel Cove Heads Graduating Class -- Heading the graduating class at No. 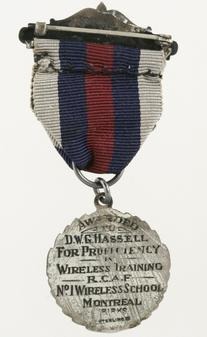 1 Wireless School, Montreal, Muriel Cove, daughter of Mr. and Mrs. E. H. Cove, 969 Banning Street was winner of a medal for proficiency. Second place was won by Hazel Harris, also of Winnipeg. She was formerly an employee of the Winnipeg Public Library." Obviously, it was not a medal sanctioned by the crown authority managing military honours but something created locally at the school to encourage students to work harder. The medal was "minted by Birks" and in this case, the recipient was a D.W.G. Hassell. The attached ribbon shows a bar with the word "Second" on it. He, or should I say this person, like Hazel Harris, took runner-up honours. The other side of the medal has on it the RCAF crest and the RCAF wireless insignia. This medal is a reminder that members of the RCAF Women’s Division were also required to obtain specialized training at various schools. During World War II, a great number of women became Wireless Operators. This remembrance was submitted by Doreen Balkwill of Brandon Manitoba to the CATP Museum in December 2000 as part of our Oral History Project. She is the wife of Edward George Balkwill, a veteran of the Royal Canadian Air Force in World War II. Doreen passed away on September 25 2008 at the age of 92 years. I am a Brandon (Manitoba) born war bride. I met Edward George Balkwill at a Brandon Armouries Service Dance. George enlisted in the Royal Canadian Air Force in Regina Saskatchewan and was housed in the old 'C' Barracks (Security Building) in Brandon Manitoba before the Manning Pool (No. 2 Manning Depot) opened in Brandon. After training here, he went to (RCAF Station) Jericho Beach Vancouver and No. 1 Wireless School in Montreal. He came to Rivers (No. 1 Air Navigation School) where he was crew of the "Flying WAGs (Wireless Air Gunners)." Shadow was his nickname. We married while at Rivers. The RCAF insisted that an airman obtained permission to marry and the bride submitted three recommendations confirming her suitability as an airman’s wife. The wedding was posted on the board. Our wedding date was July 12 1941 on a 48 hour pass. 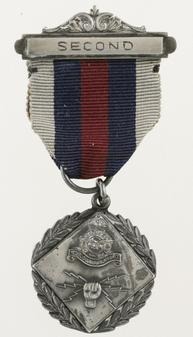 The Canadian Volunteer Service Medal (CVSM) with Bomber Command Bar was awarded to any Canadian veteran who served with Bomber Command during World War II. All Canadian members of the 6th Bomber Group received this medal and bar. George went on to more training at Yorkton Saskatchewan and McDonald Manitoba. He was deployed overseas with the 6th Bomber Group. Our little girl was one month and 15 days when he left. I had two younger brothers serving overseas in the army and also three brothers-in-law overseas in the air force. Two sisters were in war related work. The family kept my parents and me busy helping keep in touch with letters and parcels. We saved all candy bars, gum etc. to send to the boys. We tried not to worry but the tension was always there. We learned of a friend’s son’s death and my youngest brother was severely wounded and flown back from Germany to England. It was devastating. We were fortunate all our boys came home. George went over on the ``Queen Lizzie’’ packed like sardines. He came back earlier after the war in Europe ended on the Strathenden as he volunteered to go to Japan. Our mail was censored and quite often had parts cut out. Often you wouldn’t hear for weeks and then you got a lot of mail at once. I belonged to the Service Club ``Contact’’ and enjoyed it but my husband was overseas and all the other husbands were posted to local army camps in Shilo and Brandon – so I had little to relate. I stayed with my parents with baby ``Joan.’’ My mother knit many pairs of socks and sweaters for our ``lads’’ overseas. Coming back to Brandon, we built our home in 1946 – in which I still live and raised our family of two boys and three girls. After the war, George worked for a short while for the DVA (Department of Veteran’s Affairs) Hospital as an electrician then for Brandon Post Office until retirement. We belonged to the 502 Wing of the Royal Canadian Air Force Association and the Legion, both in Brandon. George was a Founding Member of the (CATP) air museum of which he was so proud. George passed away on March 10 1994 at age 83. So I feel we had a little part, on both sides of our families - the Balkwills and the Stones - in the war effort to keep our country free. George and Doreen Balkwill were lifelong friends of my parents Paul and Beth Sigurdson. 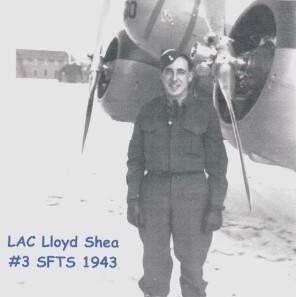 My father was a veteran of the WWII Canadian Army and spent time overseas as well. He too was hired by the DVA Hospital - as a carpenter. This is where the friendship began. Both George and Paul moved on to jobs with Canada Post where they worked until retirement. After the war, Canada’s Crown Assets sold off much of the infrastructure built to train our forces. In Brandon, the army had a training camp which housed trainees in dozens of H-Huts located in the south end of town. George and Paul, each bought a quarter of an H-Hut, moved it on to lots in the city and renovated them into wonderful comfortable houses – with used nails and gyprock also purchased from Crown Assets. One of my favourite memories of George is being at Ditch Lake where both families had cabins. We had an old multi-band radio which was capable of picking up the telegraph traffic between Dauphin and Brandon. When asked, George, because of his wireless training which had not been used for nearly 20 years, gleefully was able to decipher the Morse messages as they were sent. He did admit however that the speed of these messages was faster than what he was used to in the RCAF. Although he didn’t understand 100% of the content of the messages, he was able to understand good portions of them. Our parents were happy and determined to make a good life – I believe their success at this was a result of the motivation they were given by the hard times they faced in the Great Depression and World War II.